Tonight I’m riding at the Moonee Valley night meeting. The rail is out seven metres and the track is rated in the good range. Race 1 is the Inglis Premier Yearling Sale Handicap over 1200 metres for two year old fillies, my ride here is FACT OR FABLE who is trained by Robbie Griffiths. This daughter of Street Boss (USA) is raced by Australian Thoroughbred Bloodstock and partners. She’s had two lifetime starts and ran in the Magic Millions 2 year old Clockwise Classic on debut where she ran extremely well, before being sent for a spell. She then trialled nicely before returning to the races with a solid, on speed effort that saw her win at Bendigo first up this campaign. She steps up in distance here and in a race that has been depleted by scratching’s will start from a wide barrier, but in a small field. With the benefit of race experience and fitness on her side and the confidence from a last start victory, she looks too good for these. This race will set her up nicely to run in the Magic Millions race over the Adelaide Carnival. Race 4 is the BM64 Dynamic Print Group Handicap over 1200 metres for three year old’s, my ride here is KASHIWA who is trained by Chris Waller. This gelding by Fighting Sun is raced by Star Thoroughbreds and partners. He is lightly raced having had nine lifetime starts and started his career racing in Sydney. Since being transferred to Victoria he has won at the course and distance and his last start at Sandown saw him finish less than two lengths behind Terbium over 1300 metres. Terbium is undefeated from his four starts and last Saturday won the Group 3 Zedative Stakes.KASHIWA is a horse that gets back in his races and it will be interesting to see how the track races with the rail out 7 metres, as usually it is hard to make ground. There looks to be a lot of pressure and speed on paper that will favour my horse, and if we get clear running, I expect him to be finishing off strongly. Race 5 is the BM78 Ladbrokes 55 Second Challenge Heat 15 over 955 metres, my ride here is VAINSTREAM who is trained by John Pascoe. This four year old gelding by Bel Esprit is building a consistent record as from his 13 starts has won or placed in seven races. I’ve ridden him with success last preparation, winning on him at Pakenham over 1200 metres. He ran at Moonee Valley last start over 1200 metres where he was beaten by Rox The Castle who is a progressive horse and the start prior to that contested the Sale Quality. He finds himself well placed here in this BM78 race and should get a nice run just behind the speed if he can jump well from his favourable low barrier and be too good for them. Race 6 is the BM78 Fisher and Paykel Stayers Series Final over 2500 metres, my ride here is SURPRISE BABY (NZ) who is trained by Paul Preusker. This lightly raced four year old gelding is by Shocking, he’s had five lifetime starts and has won three of those. He ran in BM84 grade last start against SCHABAU (GER), who I am riding at Flemington tomorrow in the Roy Higgins Quality so hopefully SURPRISE BABY can frank the form in this race. It’s great to see that the depth of our stayers is increasing and young stayers are being given time to develop. This will be the first attempt at the distance for SURPRISE BABY and if he runs out the trip strongly he will take a lot of beating. Race 7 is the BM78 Fisher and Paykel Sprint Series Final over 1200 metres, my ride here is PASEETO who is trained by Aaron Purcell. This four year old gelding by Nicconi is lightly raced having had eight lifetime starts and has won or been placed in four of those. He was previously trained by Tony McEvoy and is having his second start for his new trainer. His first up run was on soft ground at Colac where he finished last but was beaten by less than four lengths. He has drawn a favourable barrier here and is a horse that likes to race close to the speed. If he can reproduce his best form in this he will be one of the main chances. Today I’m riding at Sandown on the Hillside track where it’s a twilight meeting. The rail is out 12 metres and the track is rated in the good range. Race 2 is the Le Pine Funerals Plate over 1300 metres for three year olds, my ride here is CHARITABLE NATURE who is trained by Danny O'Brien. This daughter of High Chaparral is raced by Gerry Harvey. She’s had four lifetime starts and resumes her third racing preparation here. At her last run before going for a spell she competed against and was beaten by a horse that won at Flemington during the Spring Carnival. She has drawn an outside barrier and being by High Chaparral, they usually improve with time and racing over more ground. This will be my first ride on her and I’m looking forward to seeing how she presents pre-race. Race 3 is the MyPunter.com Plate over 1300 metres, my ride here is JUDGE O’REILLY (NZ) who is trained by Doug Harrison. This five year old gelding by O’Reilly (NZ) is lightly raced having had five starts, being placed on two occasions. I have ridden him in an official trial and rode him in his one start last preparation. He wanted to hang outwards in his race and was subsequently sent for a spell. He has shown me that he is good enough to win a city maiden and comes into this fourth up, following on from a good second placing last start. He has drawn a middle barrier and on his best form, in this even contest, he can win. Race 4 is the Clanbrooke Racing Handicap over 1400 metres for fillies and mares, my ride here is STRYKING MISS who is trained by Wez Hunter. This five year old mare by Stryker has raced consistently throughout her career and has a record of 28 starts for: 3-2-5. She won three starts ago at her home track of Mornington over 1500 metres and her past two starts, although missing a top three placing, have been solid runs. She stays in the same grade as her last start and will jump from a middle barrier. She is a horse that needs her races run to suit her as she races best when she’s ridden off speed. Race 6 is the BM64 Blue Star Print Handicap over 2400 metres, my ride here is ARGYLE BELLE who is trained by Doug Harrison. This five year old mare by Dane Shadow won four starts ago over 2000 metres and at her most recent start finished fourth, beaten less than 3 lengths over the same course and distance. If she has luck in running she can continue her consistent form and be very competitive. Race 7 is the BM70 Polytrack Handicap over 1500 metres, my ride here is GOLD MAG (NZ) who is trained by the Hayes, Hayes and Dabernig team. He’s a lightly raced four year old gelding Savabeel who from his five lifetime starts has only missed a top three placing once, that was last start where he finished fourth and was beaten by less than two lengths. I’ve ridden him at the course last year where he produced a dominant win when racing on soft ground. He races here in the same BM70 grade as his past three starts and is a horse that is capable of winning in Saturday grade. He has drawn an outside barrier and with the long Hillside straight, he will have every opportunity in this. I believe he is a superior horse to his rivals and there will be no excuses, even if he has a wide run in transit and he should be winning this. Race 8 is the BM78 The Big Screen Company Handicap over 1800 metres, my ride here is SACRED THEME who is trained by Jarrod McLean. This six year old gelding by Oratorio (IRE) is raced by the Saunders family. I’ve had one ride on him last year at the same course and distance, on soft ground, finishing second. He has been racing extremely well this preparation and won second up. His next two runs have seen him finish second and third respectively, closing his races off strongly. He has drawn an inside barrier and is a horse that steps slowly from the gates, if I can motivate him and get him to jump cleanly from the barriers and take up a middle position, it will give him less ground he has to make up at the end of the race. He is racing well enough this campaign to be winning this. Today I’m riding at Caulfield where it’s Blue Diamond Stakes Day, it’s the biggest 2 year old race we have in Victoria. The rail is out 3 metres and the track is rated in the good range. Race 1 is the Listed Ladbrokes Mornington Cup Prelude over 2000 metres, my ride here is CALL ME HANDSOME (IRE) who is trained by Peter Gelagotis. This six year old gelding by Kodiac (GB) races in the colours of David Hall. He is a European import who raced in Hong Kong before arriving to Australia. I’ve ridden him twice and won on him at the end of his last preparation at the same course over 1700 metres, and rode him again first up this preparation at Flemington, where he didn’t handle racing over the straight course in the Group 3 Standish over 1200 metres. He has had two more runs since then and comes into this fourth up and will have a good level of fitness for first attempt racing over the 2000 metres. Although he has drawn an outside barrier, he is a horse that rolls forward and should be in this for a long way. Race 2 is the Group 2 Heritage Finance Caulfield Autumn Classic over 1800 metres for three year old’s, my ride here is COSSETOT who is trained by James Cummings. This three year old gelding by Epaulette is raced by Godolphin. He is lightly raced and is building a progressive record of 5 starts for 3 wins and a second placing. He comes into the race extremely fit and is dropping back in distance from the 2200 metres of his last start, where he won the Listed Tasmanian Derby. He has drawn a favourable barrier draw which should give him every opportunity to continue his consistent form and as a horse in form, he will be one of the main chances. Race 4 is the Group 2 Ladbrokes Angus Armanasco Stakes over 1400 metres for three year old fillies, my ride here is METRONOME who is trained by Michael Kent. This daughter of Helmet has had eight starts, only missing a top three placing on three occasions. She comes into this fourth up for her campaign and this will be her second time racing over the distance. Under the set weights and penalties conditions of this race, as she has only won her maiden, she carries the minimum weight of 55 kilos. She has drawn a favourable barrier and if I can utilise the barrier draw and have her travelling where she is comfortable, it will give her every chance against this even field of fillies. Race 5 is the Group 3 Ladbrokes Zeditave Stakes over 1200 metres for three year old colts and geldings, my ride here is ZOUSAIN who is trained by Chris Waller. This colt by Zoustar is raced by Qatar Bloodstock and partners. He’s had nine starts for two wins and four placings, only missing a top three placing on three occasions. He has been racing in the highest grade and three of his second placings have been at Group 1 level. He races here first up and has had two strong trials in Sydney in preparation for this. This will be his first time racing around a turn, the Melbourne way of going, as his only start in Melbourne was in the Group 1 Coolmore Stud Stakes over the straight course. He has drawn an inside barrier and in a race that has been depleted by scratching’s, he will be too good for these. Race 6 is the Group 1 W.F.A Yulong Futurity Stakes over 1400 metres, my ride here is BEST OF DAYS (GB) who is trained by James Cummings. This five year old entire by Azamour (IRE) is raced by Godolphin and was imported from Europe. I’ve ridden him in his past two starts and at the end of his last preparation won the Group 1 Cantala Stakes over 1600 metres at Flemington on him. He resumed this campaign racing at the same course and distance at his first attempt racing in a Group 1 under weight for age conditions and he acquitted himself very well, being beaten by less than a length. He has drawn a favourable barrier but is a horse that can be slow into stride, if I can utilise his inside barrier and have him travelling as close to the speed as possible, with luck in running, he can win this. Race 7 is the Group 1 Ladbrokes Blue Diamond Stakes over 1200 metres, my ride here is ATHIRI who is trained by James Cummings. This filly by Lonhro is also raced by Godolphin. She’s had two lifetime starts and was great on debut where she came from back in the field and won impressively in Sydney. She resumed this campaign in the Blue Diamond Prelude at the same course of today’s race, over 1100 metres. She was ridden on speed and stayed on extremely well, finishing third and less than a length from the winner. I rode her in a piece of work on Tuesday and was impressed with the feel she gave me. She has drawn an outside barrier and if we have luck from the draw, her form and recent gallop have shown me that she can win this, with luck in running. Race 8 is the Group 1 Ladbrokes Oakleigh Plate over 1100 metres, my ride here is ENCRYPTION who is trained by James Cummings. This colt by Lonhro wears the colours of Godolphin. He is a three year old taking on the older horses here under handicap conditions. I won the Group 2 Danehill Stakes on him last Spring and finished fifth on him in the Group 1 Coolmore Stud Stakes against his own age group. He resumed this campaign in an open Listed race where he ran extremely well over 1000 metres at this track. I rode him in a piece of work on Tuesday morning and was impressed with the natural improvement he has taken from that run. He has been allocated the light weight of 50 kilos, however I have been granted permission to ride him at 51 kilos. He has drawn a middle barrier in a race where there looks to be a lot of pressure and speed, which will help him. He will get every opportunity from the barrier draw and will be hitting the line strongly and winning this race would further secure his future as a stallion. Race 9 is the Group 2 Carlton Draught Peter Young Stakes over 1800 metres, my ride here is AMBITIOUS (JPN) who is trained by Anthony Freedman. This seven year old entire by Deep Impact (JPN) is raced by Ozzie Kheir and partners. I rode him through his first preparation in Australia and felt he would take benefit from the experience of a season in Australia once he acclimatised. He then had two runs where he was disappointing and was found to pull up poorly after his last run and was sent for a spell. He resumes here and I’m looking forward to seeing him pre-race and how he has matured and improved in the Australian training conditions. If he can find his Japanese form, he will be winning this and it will set him up well for the Autumn Carnival. This evening I’m riding at the Moonee Valley night meeting. The rail is in the true position and the track is rated in the good range. Race 5 is the BM70 Ladbrokes 55 Second Challenge Heat 14 over 955 metres, my ride here is VALENTE who is trained by Robbie Laing. This four year old gelding by I Am Invincible is raced by Ray and Sue Montague and partners. I’ve ridden him previously and was successful on him four starts ago at Cranbourne over 1000 metres in BM64 grade, in January of last year. He then competed against Nature Strip, finishing fourth over 1000 metres at Sandown. I rode him at his next start at the end of May 18’ and he clearly wasn’t at his best form and was subsequently spelled. He comes into this race second up and commenced his campaign racing at the same course and distance where he closed the race off nicely two weeks’ ago. I expect he will have taken natural fitness improvement from his first up run and will start here from an inside barrier carrying 57 kilos. On his best form he will make his presence felt. Race 7 is the Group 3 Crown Resorts Typhoon Tracy Stakes over 1200 metres for three-year-old fillies, my ride here is VICTORY KINGDOM who is trained by the Hayes, Hayes and Dabernig team. This daughter of Animal Kingdom races in the famous colours of Team Valor. She is lightly raced having had two race starts and I have ridden her on both occasions. She finished second on debut at the same course and distance where she jumped slowly from the barriers and closed the race off extremely well when she gained clear galloping room. She had five weeks between runs and raced at Sandown at her next start where she had the blinkers applied for the first time. She jumped a lot better from the barriers and was able to control the race and was dominant in winning by over 3 lengths. She comes into this race with confidence from her last start victory and if she is able to use her favourable inside barrier draw to take up a forward position, she will take a lot of beating. This is a big step up in class that I know she can take, providing she mentally handles the occasion. Today I’m riding at Sandown on the Hillside circuit and it’s a twilight meeting. The rail is out 9 metres and the track is rated in the good range. Race 5 is a BM64 handicap over 1400 metres for three year old’s, my ride here is TEE TRAIN who is trained by Symon Wilde. I rode this colt by Savabeel in his debut run where he was successful when winning over the May carnival at Warrnambool. He gave me the feel of a horse that had above average ability but unfortunately, he missed the Spring due to an extended break. He has had one run this preparation where he was a bit keen and although he did a few things wrong, ran extremely well in a strong Class 1 race at Warrnambool. He steps up to the 1400 metres for the first time here and has drawn ideally to gain an economical run in transit from a low barrier draw and I expect him to be the horse to beat. Today I’m riding at Flemington where it’s Lightning Stakes Day and the Festival Of Racing is underway in Victoria. The rail is in the true position and the track is rated in the good range. Race 1 is the BM84 DeRucci Trophy over 1600 metres for fillies and mares, my ride here is PURE SCOT who is trained by the Hayes, Hayes and Dabernig team. I’ve ridden this four year old mare by Purrealist in her last three starts and three runs ago rode her at the track and distance, where she finished fourth in an open BM70 and was beaten by just over two lengths. I then won on her at Sandown over the same distance in a small field that was a tactical race and she was solid to the line. At her most recent run, although she finished second last in a small field, she was less than one length from the winner. She has drawn a favourable barrier and meets a lot of the same horses here that she has been competing against recently in this field. She will carry one kilo above the minimum and is one of the main chances in this very competitive race. Race 2 is the BM84 Lawn Handicap over 2000 metres, my ride here is SILENCE THE STARS who is trained by Deanne Taylor. This six year old gelding by Valixir (IRE) is lightly raced having had 12 lifetime starts, with a record of two wins and five placings. He comes into this race carrying the minimum weight but is racing out of his grade, as he is a 66 rated horse. The last time he competed in this grade he finished second at Caulfield over the same distance. He has had one run this preparation where he closed the race off well to finish second at Moonee Valley over 1600 metres and he steps up in distance here. This will be my second ride on him as I rode him last year at Sandown when I won his maiden on him. He is a nice horse that is taking on strong opposition and I expect him to make his presence felt. Race 3 is the BM90 Singapore Turf Club Trophy over 1200 metres, my ride here is MAN OF HIS WORD who is trained by Dean Krongold. This six year old gelding by Lope de Vega (IRE) is raced by Grand Syndicates and is currently in the top 10 voting for the All Star Mile. He races first up here and first up last preparation he contested a race over the same distance at Caulfield, where he finished 1.35 lengths behind the winner and was unlucky not to finish closer. He had the blinkers applied at his next start over the same course and distance of this event where he over-raced and did a few things wrong. He then failed at his next start before going for a spell. He has trialled nicely in preparation for his first up run and looks to have drawn the right side of the track with a high barrier draw. He has experience over the straight course and if he races up to his best form, he will be one of the main chances. Race 4 is the Listed Talindert Stakes over 1100 metres for two year old’s, my ride here is ART COLLECTION who is trained by the Hayes, Hayes and Dabernig team. This filly by Fastnet Rock runs in the Coolmore colours. She made her debut at this track over 1000 metres where she was narrowly beaten in the Maribyrnong Plate before going for a spell. I rode her first up this preparation at Caulfield where we finished three lengths behind one of the favourites for the Blue Diamond in Loving Gabbyin the Group 3 Chairman’s Stakes. She was tightened for room coming around the corner and was impeded by the winner in the straight. I feel she would have taken a good amount of benefit and experience from racing around a corner for the first-time last start. She now returns to racing over the straight course and if she has taken natural improvement from her first up run, she will take a lot of beating in this competitive two-year-old race. Race 5 is the Group 3 The TAB Vanity over 1400 metres for three year old fillies, my ride here is AMPHITRITE who is trained by the Hayes, Hayes and Dabernig team. This filly by Sebring races in the colours of Flying Start Syndications. I rode her for all of her last preparation until she went to the Group 1 Empire Rose, where she was ridden by Dean Yendall. I was successful on her in her first four runs last campaign where she progressed from being a maiden to a Group 1 winner. Her run in the Oaks can be forgiven as she didn’t feel right in her action and it remains to be seen if she can run the staying distance out. She runs first up here and has jumped out well at Flemington in preparation for her return. She will start from an inside barrier and under the set weights and penalty conditions of this race carries the top weight for being a Group 1 winner. She is the class factor in this race and I’m looking forward to her resuming here. Race 6 is the BM90 The Hong Kong Jockey Club Trophy over 1600 metres, my ride here is THUNDER CLOUD who is trained by Ciaron Maher & David Eustace. This five year old gelding by Manhattan Rain is raced by Manfred Krauser and partners and has won or placed in more than half of his starts. His first up run at Flemington was excellent and he comes into this with the benefit of a recent official trial at Cranbourne under his belt. He will start from a favourable barrier, is stepping up in distance and is a major player in this race where he will carry the minimum weight. Race 7 is the Group 3 CS Hayes Stakes over 1400 metres for three year old colts and geldings, my ride here is RANIER who is trained by James Cummings. This son of Lonhro is raced by Godolphin and is last year’s Gothic Stakes and Carbine Club winner. He has had one run this preparation and comes into this second up. He has unfortunately drawn an outside barrier and we will need luck in running. If the track is racing evenly and allowing horses to close off, I expect him to be finishing off strongly, as we saw his class throughout the Spring and he is a talented galloper. Race 8 is the Group 1 W.F.A Black Caviar Lightning over 1000 metres, my ride here is OSBORNE BULLS who is trained by James Cummings. This five year old gelding by Street Cry (IRE) is raced by Godolphin. I’ve ridden him on two previous occasions last preparation, winning on him first up in Listed Grade at Caulfield and then finishing fifth on him in the Group 1 Sir Rupert Clarke Stakes over 1400 metres where he was beaten by just over a length. He then competed in The Everest over 1200 metres on a heavy track at Randwick where he finished third. He then returned to Flemington and completed over 1200 metres and was successful winning over the straight course, carrying the top weight at Group 2 level. Although he is unbeaten first up, he has never raced shorter than 1200 metres when racing fresh. He is clearly the class horse in the race and will take a lot of beating in this and will be flashing home late. Tonight I’m riding at the Moonee Valley night meeting. The rail is in the true position and the track is rated in the good range. Race 3 is the BM84 Ladbrokes 55 Second Challenge Heat 13 over 955 metres, my ride here is SISTER KITTY MAC who is trained by Symon Wilde. I’ve ridden this five year old mare by Kaphero previously and have won on her at the course and distance. She has drawn an inside barrier and if we are able to utilise that and settle on speed, she will take a lot of running down. She also has the advantage of racing here on the minimum weight and if she produces her best form, will be very competitive. Race 5 is the BM78 Dominant Laundry Systems Handicap over 1600 metres, my ride here is RED CHOUX’S (NZ) who is trained by Danny O'Brien. This five year old gelding by Jimmy Choux (NZ) will be at peak fitness having had three runs this preparation and has winning form when racing fourth up last campaign. This will be my first ride on him and having watched his replays, he looks like a horse that can get a little bit keen and over-race, if I can manage his rhythm and he works well with me tonight and relaxes in running wherever he settles, this is a race he can win. Race 6 is the BM78 Dominant Home Care Products Handicap over 1600 metres, my ride here is SABOTAGE (NZ) who is trained by Symon Wilde. This six year old gelding by Savabeel races in the Nicholls family colours. 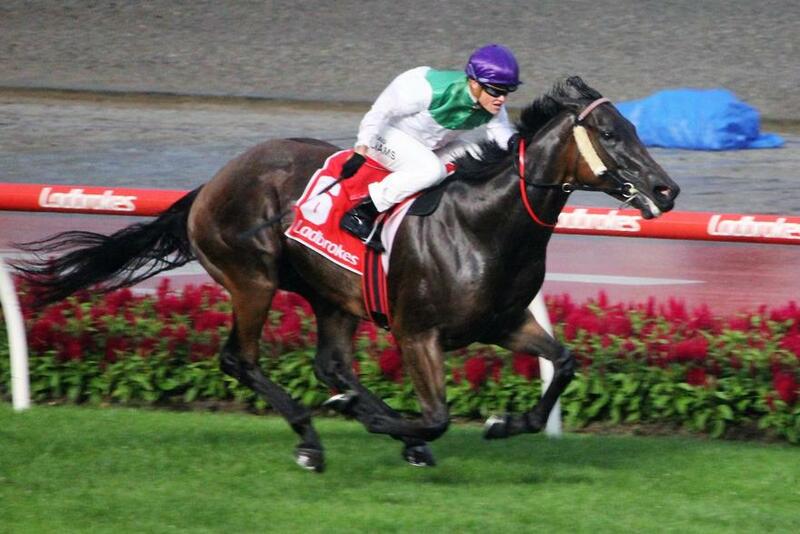 I’ve ridden him twice since his arrival from New Zealand and finished second on him at Moonee Valley over 1200 metres. His form this preparation has been solid, but we will need some luck from a wide barrier draw. This is a very competitive BM78 race but with some luck in running he can win this. Race 7 is the Listed Crown Resorts Torney Night Cup over 2500 metres, my ride here is SYLPHEED who is trained by Matt Cumani. This five year old mare by Real Saga is raced by Mr Sekiguchi. I rode her three starts ago over 1200 metres where she closed the race off nicely to finish third. Her most recent run was at the Gold Coast at her first attempt over a staying distance of 2200 metres and she finished just over two lengths from the winner. She steps up in distance again here to 2500 metres and I will need to be mindful that last start she over-raced a little bit at her first time stepping up in distance, and still produced a solid effort. She has drawn an outside barrier which is not in her favour but has the advantage of carrying the minimum weight of 54 kilos. I will be interested to see what my instructions are pre-race and I feel, if she has learnt to settle and relax from her most recent run, then she can no doubt make her presence felt. Race 8 is the BM64 Dominant Star System Sprint Series over 1200 metres, my ride here is NOT APPROVED who is trained by Michael Hibbs. She’s a five year old mare by Magnus that is lightly raced and from her 11 starts has a record of two wins and four placings. She won two starts ago at Wangaratta and last start ran well at Sandown to finish third to La Tigeresa, who has since franked the form and won again. She has drawn an inside barrier and should gain an economical run in transit from the draw. She is a horse that races close to the speed and if I can get her to conserve her energy throughout the early stages and not travel too keenly, she will take a lot of beating in this. Today I’m riding at Sandown on the Hillside track and it’s a twilight meeting. The rail is out 6 metres and the track is rated in the good range. Race 1 is the Ladbrokes Plate over 1400 metres, it’s a maiden race for horses three years old and upwards, my ride here is PARLAY PRINCESS who is trained by John Sadler. She’s a three-year-old filly by Sebring that runs first up here. She had four starts last preparation and resumes here following a long layoff. This will be my first time riding her and having watched her jumpout videos, she seemed to show good early gate speed in her recent heats. She has drawn a favourable barrier and it gives me confidence that her trainer has chosen a city race for her return to racing and I expect that she will have improved from her first preparation. Race 2 is the Clanbrooke Racing Plate over 1300 metres for two year old fillies that have not won a metropolitan race, my ride here is FLING who is trained by the Hayes, Hayes and Dabernig team. She’s by All Too Hard and wears Rupert Legh’s colours. She has had one start at the end of January where she raced at Sandown on the Lakeside circuit, she sat outside the leader over 1200 metres and finished third. I expect she will have taken a great deal of natural improvement from her first up run and the slight step up in distance and racing on the Hillside track will be in her favour, and she will take a lot of beating. The stable obviously have a high opinion of her as she started short in the market at her first run and is the early favourite for this race. Race 6 is a BM64 Handicap over 1300 metres, my ride here is SECOND MARRIAGE who is trained by Dean Krongold. This four year old mare by Reset is raced by Grand Syndicates and has been racing in consistent form this preparation. She has drawn a favourable barrier and should gain an economical run in transit. Today’s race looks like it will map well for her and she can continue her good form and make her presence felt. Race 7 is the BM70 Highways Lunar New Year Handicap over 1400 metres, my ride here is PEKO who is trained by Colin Little. This four year old mare by Bel Esprit is owned by Andrew Harcourt. She is a lightly raced, progressive mare that is building a good record as from her seven lifetime starts, she has only missed a top three placing once, and that was last start where she finished fourth, beaten by less than two lengths. She is a mare that makes her own luck and races close to the speed. If she doesn’t have to do too much work from an outside barrier draw and we have some luck in running, she will take a lot of beating in this. Race 8 is the BM70 The Peninsula Picnic Handicap over 1000 metres, my ride here is REDCORE who is trained by Greg Eurell. This four year old gelding by Choisir is raced by Lionel Krongold and partners. I rode him four starts ago at Caulfield where he was beaten by just over two lengths in the same grade of race over 1100 metres. Since then he has been very competitive and his last start saw him finished second at Caulfield in BM78 grade where he carried the minimum weight. He drops back in distance and grade here and has drawn ideally to gain a good run from the barriers. He is a horse that needs everything to go his way and on paper this race maps very well for him to win. He is a very consistent horse and it would be great to give him another win as he has been racing so well without winning. Today I’m riding at Caulfield where it’s the first Group 1 meeting of the year. The rail is in the true position and the track is rated in the good range. Race 1 is The Big Screen Company Hcp over 1800 metres, my ride here is YOGI (NZ) who is trained by Ciaron Maher & David Eustace. This six year old gelding by Raise the Flag (GB) is raced by Australian Thoroughbred Bloodstock. I’ve had good success on this horse and have enjoyed watching him develop throughout his career, as he has taken some time to learn his craft and he keeps improving with each preparation. He is a very good stayer who had the blinkers applied for the first time at the end of his last campaign when he won the Sandown Cup over 3200 metres. He races first up here and for a staying horse he has excellent form when racing fresh, from his five attempts he has only missed a top two placing twice. He races well over this distance and from his four starts over the 1800 metres has won twice. I’m looking forward to seeing how he presents pre-race and expect he will be finishing the race off strongly and this is a race he is capable of winning. Race 3 is the Group 3 MyPunter.com Bellmaine Stakes over 1200 metres for four year old mare and upwards, my ride here is FUHRYK who is trained by the Hayes, Hayes and Dabernig team. This five year old mare by Star Witness is raced by Michael Christian and partners. She races first up here and I’ve ridden her in two jumpouts in preparation for her return and was pleased with the way she went on both occasions. She has drawn an inside barrier in a small field and if she finds her best form, she will be one of the main chances. Race 5 is Group 3 Ladbrokes Blue Diamond Prelude for two year old colts and geldings over 1100 metres, my ride here is BRAZEN BRANDO who is trained by Phillip Stokes. This colt by Brazen Beau has had one start where he came from last in the Blue Diamond Preview and closed the race off very well, finishing 2.55 lengths from the winner. I have galloped him in preparation for this race and was impressed with the way he worked and his professional attitude. If the track is racing evenly and we have luck from the wide barrier draw, I expect him to be one of the main chances. Race 6 is Group 2 Ladbrokes Blue Diamond Prelude for two year old fillies over 1100 metres, my ride here is MOVIE ROLE who is trained by the Hayes, Hayes and Dabernig team. This filly by Fastnet Rock races in the pale pink set of colours belonging to Coolmore. She’s had three lifetime starts and I rode her on debut at Flemington where she finished behind Yes Yes Yes and I felt that she would take a lot of benefit from that run in both experience and fitness. She then went to Sydney and had the blinkers applied to her head gear and was successful over 1000 metres. Her most recent start saw her run well in the Magic Millions 2 year old classic on the Gold Coast on January 12th. She now returns to the Melbourne way of going and from a wide barrier draw will need luck in this very competitive race. Race 8 is W.F.A Group 1 Ladbrokes C.F. Orr Stakes over 1400 metres, my ride here is BEST OF DAYS (GB) who is trained by James Cummings. This five year old entire by Azamour (IRE) is raced by Godolphin. He started his career off racing in Europe before being imported to Australia. 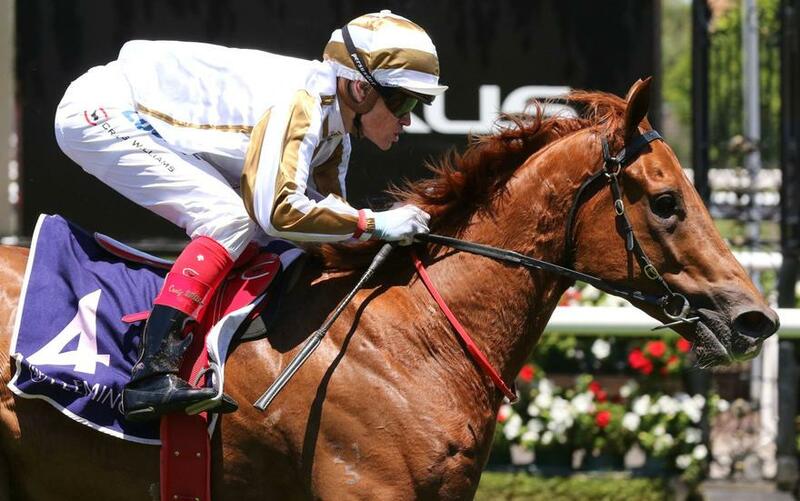 He displayed that he is a high-quality galloper last start where he won the Group 1 Cantala Stakes at Flemington over 1600 metres, that was my first ride on him and he was very impressive when carrying the minimum weight. He comes into this racing first up for this preparation and with confidence from winning his last two starts at the end of his last campaign. He has drawn an inside barrier and I’m hoping that he can jump smoothly from the barriers and take up a position close to the speed, so he can finish the race off without having to do too much work. I’m really looking forward to seeing him compete at this level as he is an exciting horse and I have no doubt he can measure up today in weight for age company. Today I’m riding at Caulfield. The rail is out 9 metres and the track is rated in the good range. Race 1 is the BM78 Veuve Clicquot Lawn Handicap over 1100 metres, my ride here is ARROCHAR who is trained by Robbie Laing. This five year old gelding by So You Think (NZ) is lightly raced and has won or placed in 7 of his 16 lifetime starts and in his last 4 runs, hasn’t finished further back than fourth and has won two of those. He is a last start winner at the course over 1400 metres and steps up in grade from BM64, where he carried top weight, to BM78 grade with 2 kilos above the minimum and he drops back 300 metres in distance. He comes into this 4 weeks between runs and in his consistent form should make his presence felt. Race 3 is the BM84 John Moule Handicap over 1400 metres for fillies and mares, my ride here is ESPOSITO GOLD who is trained by Robert Kingston. This four year old mare by Excelebration (IRE) has been racing consistently of late and has produced recent good runs at Moonee Valley for a win and second placing over 1600 metres. She is stepping up in grade, carries the light weight of 54 kilos and is dropping back in distance. She is horse that races close to the speed and makes her own luck. She has drawn a wide barrier and if she can find a forward position without having to do too much work, she should be in this for a long way. Race 5 is the Group 3 Ladbrokes Chairman's Stakes over 1000 metres for two year olds, my ride here is ART COLLECTION who is trained by the Hayes, Hayes and Dabernig team. This filly is by Fastnet Rock and wears the famous navy colours of Coolmore. She had the one start last year finishing second on debut in the Group 3 Maribyrnong Plate where she was beaten by the smallest of margins, before going for a spell. This will be her first time racing around a turn and with race experience on her side and from a favourable barrier draw, will take a lot of beating in this if she has taken natural improvement from her first racing preparation. Race 7 is the Listed Polytrack W.J. Adams Stakes over 1000 metres, my ride here is ENCRYPTION who is trained by James Cummings. This 3 year old colt by Lonhro is raced by Godolphin. Although the favourite has been scratched from this race, we still face the highly talented 3 year old in Written By, who is the Group 1 Blue Diamond winner from last year. ENCRYPTION has a 3 kilo advantage here on Written By and when they last met in the Group 1 Coolmore Stud Stakes he finished a length behind him on level weights. He races here first up for the preparation and had a recent official trial at Randwick to have him ready for this assignment. He will start from an outside barrier and knowing the horse well, I expect we will be back in the field throughout the early stages and closing off strongly. If the track is racing evenly and the race is run to suit him, he can finish off over the top of them to win. Race 8 is the Group 3 Ladbrokes Manfred Stakes over 1200 metres for three year olds, my ride here is POISED TO STRIKE who is trained by the Hayes, Hayes and Dabernig team. He’s a gelding by Akeed Mofeed (GB) that races in the colours of Goldin Farms. I’ve had one race ride on him where we were successful when winning first up at Flemington. He comes into this 6 weeks’ between runs and if he produces the same form as last start he is the horse to beat, as he was very impressive in what has proven to be a strong form race. This evening I’m riding at the Moonee Valley meeting. The rail is out 3 metres and the track is rated in the good range. Race 1 is the Schweppes We Get Golf Plate over 1000 metres, it’s a race for two year old fillies that have not won a metropolitan race and my ride here is KIBIBI, who is trained by James Cummings. This daughter of Exceed And Excel is raced by Godolphin. She had one start last preparation where she ran in the Group 3 Gimcrack, which was the first 2 year old race of the new season. She was disappointing in finishing last, but it was noted that she had a slow recovery. She commences a new campaign here and this will be her first time racing the Melbourne way of going. I’m looking forward to seeing her in the mounting yard and how she performs at her second lifetime start. This evening I’m riding at Racing.com Park, Pakenham, at the twilight meeting. The rail is out 6 metres and the track is rated in the good range. Race 1 is the Racing.com 2YO Maiden Plate over 1200 metres, my ride here is LANDSTRASSE who is trained by James Cummings. This two year old colt by Sepoy is raced by Godolphin. He has had one lifetime start at Geelong and although he finished 7th, he was less than two lengths from the winner and finished the race off strongly. He had no early speed when he jumped from the barriers and wasn’t able to take advantage from his inside barrier draw. I expect he will have taken natural improvement from his first up run and if I can utilise his favourable barrier draw and have him close to the speed throughout the early stages, I expect him to be very competitive in this. Race 7 is the Superior Food Services F&M BM64 Handicap over 1400 metres, my ride here is CATARACTA (NZ) who is trained by Ciaron Maher & David Eustace. I’ve ridden this four year old mare by Niagara some 6 months ago, when winning her maiden at Sandown over 1200 metres. She is lightly raced and from her four lifetime starts has recorded one win and a second placing, both of those being in her first racing campaign. This preparation she has had two starts and it seems she hasn’t recaptured the good form she displayed in her first campaign. She races here in the right class and grade for her and is stepping up to the 1400 for the first time. 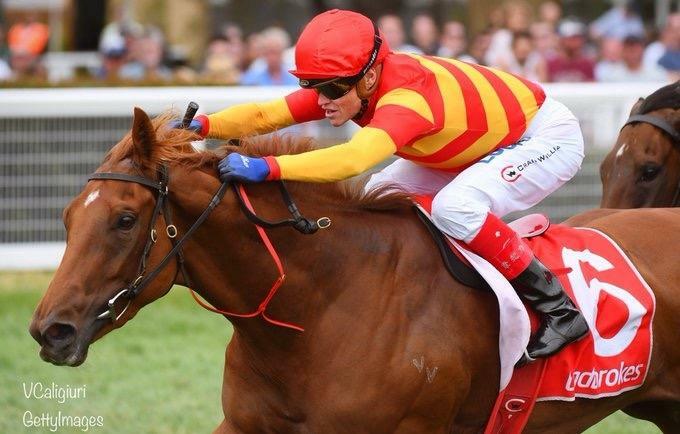 She will start from an outside barrier and if we have luck in running and she can find her best form, which has been on soft ground so the cushion surface that Pakenham provides should benefit her, she can be competitive. Today I’m riding at Sandown on the Lakeside circuit. The rail is out 3 metres and the track is rated in the good range. Race 1 is the Ladbrokes Plate over 1200 metres for two year old fillies that have not won a metropolitan race, my ride here is REWARD who is trained by Michael Kent. This daughter of Reward for Effort runs in the colours of Joan Walker and is a half-sister to Amadeus. She has had one start at Flemington where she finished six lengths behind Jedastar, who finished second in the fillies Group 3 Blue Diamond Preview at Caulfield on Saturday. In preparation for her second up run I rode her for the first time in an official trial at Pakenham over 1000 metres on January 15th. She was very professional with a good attitude and I felt she would benefit from the step up in distance and will appreciate the 1200 metres of this race. Race 2 is the Mypunter.com Plate over 1200 metres, it’s a maiden race for three year old’s and upwards, my ride here is VICTORY KINGDOM who is trained by the Hayes, Hayes and Dabernig team. This daughter of Animal Kingdom (USA) is raced by Team Valor and wears the colours made famous by her father, Animal Kingdom, who was a champion dirt horse in America and also the winner of the 2013 Dubai World Cup at Meydan. VICTORY KINGDOM has had one start where I rode her at Moonee Valley, she jumped in the air and bound at the start on that occasion and closed the race off extremely well to finish in second placing. The horse that beat her at Moonee Valley has franked the form, running well at his next two city appearances. I feel she will have taken a great deal of natural improvement from her first up run and has the addition of blinkers to her head gear. If we can utilise her inside barrier draw and she jumps cleanly from the barriers, then she will be winning. Race 4 is the BM78 Spicer Thoroughbreds Handicap over 1600 metres for fillies and mares, my ride here is PURE SCOT who is trained by the Hayes, Hayes and Dabernig team. I’ve ridden this four year old mare by Purrealist in her last two starts, finishing fourth at Flemington before winning last time out over the same course and distance. She goes up in grade and drops half a kilo in weight from her last start victory. She meets a small field here and tactics will play a big part throughout the early stages. She comes into this a mare who is racing in consistent form, full of confidence and is one of the main chances in this competitive race. Race 6 is the BM70 Clanbrooke Racing Handicap over 1400 metres, my ride here is FREE FLY TOO who is also trained by the Hayes, Hayes and Dabernig team. This lightly raced four-year-old gelding by Teofilo (IRE) is raced by Eric Wong. I rode him first up this preparation at Caulfield over the same distance where he got back in the field and I felt he would benefit from having clearer galloping room, as he didn’t appreciate racing behind and inside of horses, when he gained room in the straight he closed the race off very well. Having taken natural fitness benefit from his first up run, he comes into this with a great second up record and from a nice middle barrier will make his presence felt. Today I’m riding at Caulfield where it’s the Australia Day meeting. The rail is out 3 metres and the track is rated in the good range. 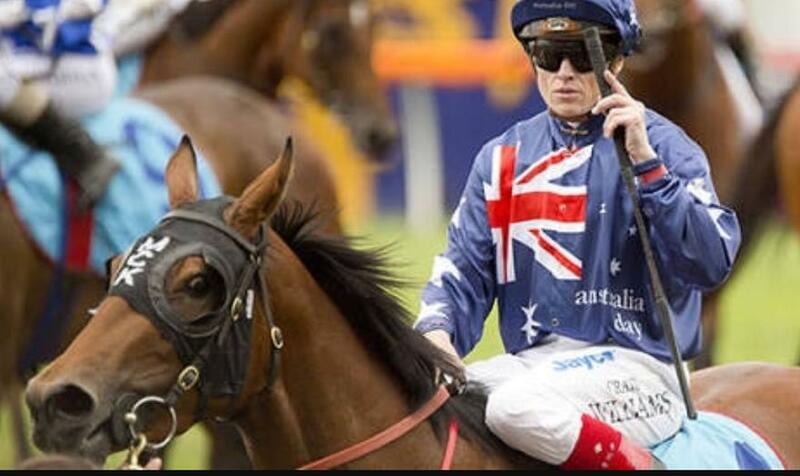 All of the horses racing in Victoria with the number one saddle cloth are honoured with their riders wearing the Australia Day colours. Race 1 is the Cape Grim Beef Plate over 1100 metres for three year old fillies, my ride here is EMBRACE ME (NZ) who is trained by Danny O'Brien. She’s a lightly raced filly by Shamexpress (NZ) that is building a progressive record and from her seven career starts has won on three occasions. She has won her last two starts with both being over 1200 metres at Moonee Valley. She drops back slightly to 1100 metres here and will carry two kilos less than her most recent run, due to the set weights and penalties conditions of this race. She does have to beat the favourite in Crack The Code, but with luck in running she can continue her good form and make it three wins in a row. Race 2 is The Mary Bell handicap over 1100 metres, it’s a race for fillies and mares, my ride here is QUEEN ANNABEL who is trained by Rebecca Kelly. This five year old mare by Bel Esprit has been racing well this preparation although we had no luck last time out when racing over the same course and distance on January 5th. She comes into this three weeks between runs and will start from a low barrier draw, and if she can find her best form she will make her presence felt. Race 4 is the Listed Ladbrokes Blue Diamond Preview over 1000 metres, it’s the colts and gelding’s division, my ride here is LODESTAR who is trained by Colin Little. This two year old colt is by the highly popular stallion in Zoustar. I’ve ridden him twice in the lead up to his debut run, once in a jumpout at Caulfield and most recently in an official trial at Werribee on Tuesday where she showed vast improvement. He is an amorous colt with his trainer stating “if he performs half as good as he thinks he is, he will be winning this”. I expect him to be very competitive from a favourable, inside barrier draw but his chances will depend on how he copes with the raceday experience and how he handles himself pre-race. He has shown me very good ability and I’m looking forward to seeing him in the mounting yard and riding him under raceday conditions for the first time. Race 5 is the Group 3 Ladbrokes Blue Diamond Preview over 1000 metres for fillies, my ride here is SHIH TZOU who is trained by Michael Kent. This two year old filly is also by Zoustar and is having her first lifetime start. This looks to be a very strong edition of the Fillies Preview with five of her rivals having been to the races before and all are coming into this from different form lines. I have ridden SHIH TZOU recently in an official trial at Pakenham where she was professional and she showed me very good ability. She will start from the widest barrier and we will need some luck in running. If she produces her trial form on raceday, she will take a lot of beating in this. Race 7 is the Ladbrokes Handicap over 2000 metres, my ride here is AL GALAYEL (IRE) who is trained by Ciaron Maher & David Eustace. I’ve ridden this five year old gelding by Zoffany (IRE) in his past two starts at Mooney Valley over 2040 metres and have been successful on him both times. He has been very well placed and carries 1.5 kilos above the minimum here. He is a horse that appreciates his races being spaced out and races here four weeks between runs, which is the same formula that saw him successful last time out. He is a horse that has a few tricks up his sleeve and even though he faces a small field here, it will be a tactical race. I expect he will have taken a great deal of confidence from his last start victory and if he has taken the improvement required, I am confident he can make it three wins on end. Tonight I’m riding at the Moonee Valley night meeting. The rail is out 3 metres and the track is rated in the good range. Race 3 is the Crown Resorts VOBIS Gold Carat over 1200 metres, my ride here is JARMANAGIC who is trained by Danny O'Brien. This race is for three year old’s and is restricted to VOBIS Gold qualified horses only. I’ve ridden this gelding by Starspangledbanner twice, with both being in his first up runs in his last two campaigns. He was beaten when racing fresh last start at Sandown over 1300 metres by just over a length, finishing third. He drops back to 1200 metres here and meets Hawkshot, who finished second in that race better at the weights. JARMANAGIC is a horse that gets back in his races and needs luck in running but if he has luck throughout and things go his way, he will make his presence felt. Today I’m riding at Sandown where it’s a twilight meeting on the Lakeside circuit. The rail is out 3 metres and the track is rated in the good range. Race 5 is the Spicer Thoroughbreds Handicap over 2400 metres, my ride here is SO BELAFONTE who is trained by Dan O'Sullivan. I rode this five year old gelding by Medaglia d’Oro (USA) two starts ago on the Hillside course at Sandown over the same distance. He over-raced on that occasion and was gallant in his effort to finish in second placing, half a length behind the winner. His most recent start was at Geelong where he dropped back in distance and had the blinkers removed and ear muffs applied. He controlled the race at a slow tempo and looked to be more settled but obviously the stable feel he didn’t perform at his best as he has a gear change and will wear the ear muffs pre-race only with the blinkers staying off. He will start from a high barrier draw and if he can relax and conserve his energy and returns to his form from two starts ago, he will take a lot of beating in this. Race 8 is The Big Screen Company BM78 Handicap over 2100 metres, my ride here is TEA FOR CHOUX (NZ) who is trained by Greg Eurell. She’s a five year old mare by Jimmy Choux (NZ) that is lightly raced having had only 16 starts in her career and she has won or placed in eight of those. She has had four runs this campaign and is stepping up to a distance range where she is very effective, having had two runs for a win and a second placing. She will start from a middle barrier and is a mare that races close to the speed and will give herself every opportunity to continue her solid form over the distance. She comes into this carrying half a kilo above the minimum and is one of the main chances. Today I’m riding at Flemington. The rail is out 9 metres and the track is rated in the good range. Race 2 is the Voting Opens Monday for All-Star Mile over 2500 metres, my ride here is PLEASURING who is trained by Darren Weir. This four year old mare by Hard Spun runs in the colours of Contract Racing. She has had three runs at this distance for a win and a third placing, with her win being in the Group 3 SA Fillies Classic at Morphettville after she finished fourth in the Oaks. Her last start effort at Moonee Valley signalled that she is finding that form again and if she does, with the minimum weight here of 54 kilos she can challenge the favourite, LYCURGUS. Race 5 is the Inglis Dash over 1100 metres for three year olds, my ride here is THORONDOR who is trained by Robbie Laing. This colt by Fastnet Rock is raced by the Montague family and partners and wears the Montague Apple colours. On ratings and performance, he is clearly the best credentialed horse in the field and he is very well treated under the set weights and penalties conditions of this race. This will be my first ride on him and I’m looking forward to riding him. I have competed against him, as I beat him in the Group 2 Danehill Stakes at the same course over 1200 metres in the Spring. He is a well performed horse who has experience and good form racing over the straight course and if he brings his best form, he will be winning this. Race 6 is a BM84 over 1400 metres, my ride here is KING’S COMMAND who is trained by Leon & Troy Corstens. This seven year old gelding by Commands is raced by Brad Spicer and partners. He races here on his rating of 84 and carries the top weight of 60 kilos. He has been racing very well without winning recently and it’s interesting to note that he won two races during the late Summer period last year. He has drawn an inside barrier and should gain an economical run in transit. This is a track and distance that really appreciates and races well at and with a record of 6: 2-1-1, he will take a lot of beating. Race 7 is the Listed Kensington Stakes over 1000 metres, my ride here is CHAMPAGNE CUDDLES who is trained by Bjorn Baker. She is a four year old mare by Not a Single Doubt who is out of the Group 1 winning mare Sky Cuddle. She is the best performed horse in the field as she has competed in the highest grade of Group racing for the majority of her career. She races here first up for the campaign and has a good record when racing fresh as from her five attempts, she hasn’t missed a top three placing. She has trialled nicely at Warwick Farm in preparation for this race and I will be mindful that this will be her first attempt over the straight course. She is clearly the class runner of the field and based on her honest and consistent form in higher grade, she will be winning this. Race 8 is the BM84 Bitalli Handicap over 1800 metres, my ride here is AMADEUS who is trained by Mick Kent. This six year old entire by Amadeus Wolf (GB) runs in the colours of Joan Walker. I’ve ridden him in all of his runs this preparation and we have finished first, second and third. This will be his first attempt over the 1800 metres and I have felt at his past two starts that he will appreciate racing on a bigger, more spacious track that Flemington provides. He has drawn a wide barrier and there looks to be a lot of pressure on paper and if they run along at a solid tempo it will be to his advantage. This is a strong field and if he runs out the distance he will be very competitive again. Race 9 is the BM84 Victorian Owner Gold Card Handicap over 1200 metres, my ride here is INTUITION who is trained by James Cummings. This four year old gelding by Street Cry is raced by Godolphin. 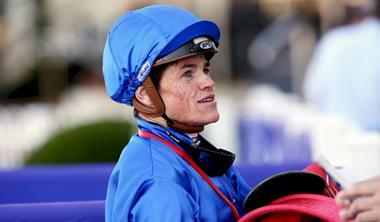 He has had 15 career starts for a record of five wins and two placings. He races here third up for the preparation following on from two very good runs in NSW. This will be his first start in Victoria and his first attempt over the straight course. He has drawn a high barrier and if the field goes to the outside fence having the rail on the right hand side will be of no disadvantage to him. If he handles the straight course he will take a lot of beating in this. Today I’m riding at Sandown where it’s a twilight meeting. We are racing on the Lakeside circuit with the rail in the true position and the track is rated in the good range. Race 2 is the Blue Star Print Plate over 1200 metres, it’s a maiden race and my ride here is RONAN’S ROCK who is trained by the Hayes, Hayes and Dabernig team. This three year old colt by Fastnet Rock is raced by Brad Spicer and partners. He had two runs in his first racing preparation before going for a spell and he resumes here. He stumbled out of the barriers badly at Caulfield in his first run, still managing to close off strongly to finish second behind Brutal. The form around Brutal is very strong with the colt remaining unbeaten in this three runs. RONAN’S ROCK then started favourite at today’s course and distance at his next run, where he pulled up lame and with a throat abnormality. I have ridden him in a jumpout in preparation for his return to racing where he gave me a solid feel in his work and he can make his presence felt in this. He has drawn a wide barrier and it will be interesting to see what my instructions are pre-race in this small but competitive field. He also has a cross-over noseband added to his head gear for the first time. Race 5 is the BM70 Spicer Thoroughbreds Handicap over 1600 metres for fillies and mares, my ride here is PURE SCOT who is trained by the Hayes, Hayes and Dabernig team. I rode this four year old mare by Purrealist last start at Flemington where she finished fourth in open BM70 grade. She goes up two kilos in weight from that run as she is returning to fillies and mares class here. This is a small field that has been further reduced by the scratching’s and she will face four other horses. There doesn’t look to be much pressure on paper and it will be a tactically run race. I’m looking forward to finding out what my instructions are pre-race as she is a horse that usually settles back in the field but has also been ridden close to the speed in a strong race at Caulfield, where she ran a very good race. I will have a good understanding of how the track is playing by this race and she is clearly one of the main chances. 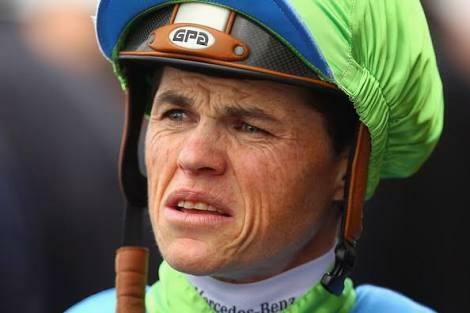 Race 7 is the BM70 NJTcricket.com.au Handicap over 1200 metres, my ride here is TIN HAT who is trained by James Cummings. This three year old gelding by Helmet is raced by Godolphin. I’ve had two rides on him for two wins, with the most recent being last time out at Sandown on the Hillside track over 1300 metres where he was dominant when winning first up. He drops back in distance here, steps up in grade and drops 1 kilo from his most recent run. This field has been depleted by scratching’s and he comes into a more favourable barrier draw. He is a horse that races on speed and with natural improvement and confidence from his first up win, he will be the horse to run down. Race 8 is the BM70 Mypunter.com Handicap over 2100 metres, my ride here is RIPPLEBROOK who is trained by Sharyn Trolove. He is a four year old gelding by Hinchinbrook that is raced by the Gray family. I rode him at his most recent run at Flemington where he was very unlucky, finishing just over six lengths from the winner. He is a big, strong horse and if we can utilise his stamina and have him racing on-speed, he will take a lot of running down. He reared as the barriers opened last start and subsequently ended up back in the field and was blocked a number of times in the straight, running extremely well with no luck. Hopefully today he can leave the barriers more efficiently and we can use his strengths to race on-speed and he will take a lot of beating in today’s race. Today I’m racing at the Gold Coast where it’s the Magic Millions raceday. It’s one of the richest raceday’s in the world with $10 million in prizemoney on offer and is restricted to horses purchased through a Magic Millions sale that have paid the entry fee for eligibility or won a wildcard race. There are capacity fields today and around this tight circuit favourable barriers and luck are an advantage. The rail is out 1.5 metres from the 1000 – 400 and the track is rated in the good range. Race 1 is the PACIFIC FAIR MAGIC MILLIONS MAIDEN PLATE over 1200 metres for three year old’s and upwards, my ride here is ADDOCARR who is trained by Tony Gollan. This three year old gelding by Sizzling is raced by Joe O’Neill and partners. From his five lifetime starts he has placed four times only missing a top three placing once, when he finished fifth at the end of his last campaign. He has had three runs this preparation and has been beaten by a small margin in all of those. He won a recent official trial at Doomben in preparation for this and has the benefit of a low barrier draw, which suits his racing pattern of racing close to the speed. It would be terrific for him to win his maiden here as this race is worth $250,000 in prizemoney. Race 3 is the RACING QUEENSLAND MAGIC MILLIONS QTIS OPEN over 1300 metres, my ride here is OURS TO KEEP who is trained by Chris Munce. He is a four year old gelding by Seidnazar that is raced by Mrs Munce. After racing over 1050 metres first up this preparation he stepped up in distance to 1200 metres and has been in good form, finishing second at his next run before winning last time out at Eagle Farm. He comes into this with confidence from his last start victory and carries the minimum weight of 54 kilos. He is a horse that races close to the speed and if we have luck and don’t have to do too much work from an outside barrier, he will take a lot of running down. Race 4 is the SKY RACING MAGIC MILLIONS TROPHY over 2200 metres, my ride here is BENZINI who is trained by James Bull. This nine year old gelding by Tale of the Cat has been a regular visitor to Australia from his New Zealand base having raced in the country a number of times throughout his career. Most notably he finished third in last year’s Port Adelaide Cup at Listed grade and third in the Group 3 Lord Reims, also at Morphettville. He is also the Group 2 Brisbane Cup winner from 2016. He has had two runs this preparation in Melbourne where he has been racing well and will appreciate the step up in distance to the 2200 metres. 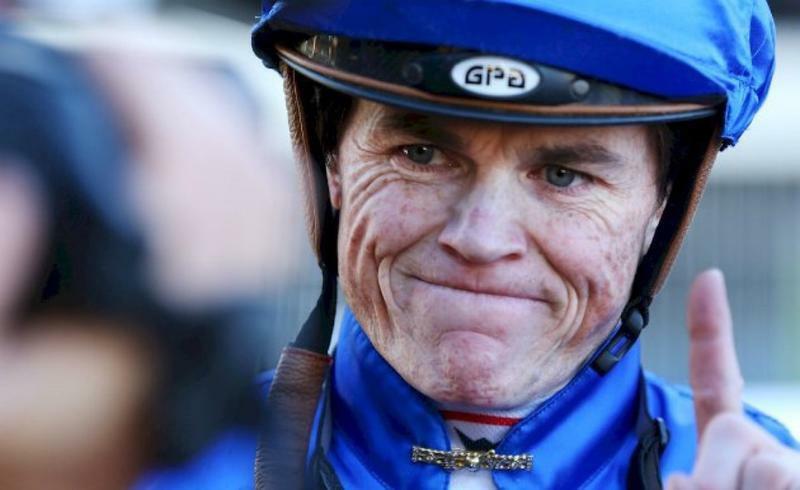 From his eight runs over the distance he has a record of one win and three placings. He will start from a wide barrier here and is a horse that usually settles in the second half of the field and carries the light weight of 54.5 kilos. If he finds his best form he can really make his presence felt in this. Race 6 is the MOËT & CHANDON MAGIC MILLIONS FILLIES & MARES over 1300 metres, my ride here is ELLICAZOOM who is trained by the Hayes, Hayes and Dabernig team. This five year old mare by Testa Rossa is raced by Kitchwin Hills. She started her racing career in Western Australia where she had excellent form, achieving multiple black type status. At her first run in Victoria she finished second at Group 2 level over 1400 metres as a three year old. She completed her next two campaigns racing in Victoria and Western Australia with her former trainer before changing into the care of the Hayes, Hayes and Dabernig team. She looks to be a mare that races very well fresh and comes into this 8 weeks between runs, which should really suit her. She has drawn an inside barrier and as a three year old she was able to race on speed and be very competitive, while last preparation she was ridden back in the field, closing her races off strongly. It will be interesting to see what my instructions are pre-race from the favourable barrier. This is a highly competitive field and on her best form, she is the horse to beat. Race 8 is the feature race of the day, THE STAR GOLD COAST $2M MAGIC MILLIONS 2YO CLASSIC over 1200 metres, my ride here is CHAMPAGNE BOOM who is trained by the Hayes, Hayes and Dabernig team. She is a filly by Spirit of Boom that I know well having ridden her in all three of her race starts. She was very impressive at her debut run where she came from off the speed, displaying great acceleration to win in dominant fashion at Caulfield. Her next run was at Flemington on Melbourne Cup day and after torrential rain I felt, even though she was only beaten by 0.3 lengths, she wasn’t able to quicken on the soft ground and the track stopped her showing the same turn of foot she displayed first up. She then went to Wyong in preparation for this race, it is a tight turning track that is similar to the Gold Coast and was her first start going right handed. After suffering interreference at the beginning of the race she settled last and finished the race off nicely. I felt she would take further fitness benefit from that run as she was five weeks between runs. If she shows the same acceleration and performance as her first up run at Caulfield, she will really challenge this race. Race 9 is the WOODFORD RESERVE MAGIC MILLIONS CUP over 1400 metres, my ride here is REDOUBLE who is trained by Bjorn Baker. He is a five year old gelding by Redoute’s Choice who has won or been placed in 50% of his race starts. He is a very consistent galloper who is in great form this preparation and hasn’t finished further back than fourth from his four runs. He comes into this a last start winner over the same distance and is a very fit horse. He also has blinkers added to his head gear again. If we are able to utilise the favourable barrier draw and he is still able to accelerate at the end of the race he will take a lot of beating. He also has the advantage of carrying the minimum weight of 54 kilos which is a big weight drop given the weights he has been carrying this preparation. Today I’m racing at Caulfield where it’s a twilight meeting. The rail is out 12 metres and the track is rated in the good range. Race 3 is the BM64 Ladbrokes Multiverse Handicap over 1600 metres for three year old’s, my ride here is EUGENE’S FOREST who is trained by Greg Eurell. This gelding by Reset has had five lifetime starts with a record of one win and two third placings. He has been racing consistently throughout his career and makes his own luck in running by racing close to the speed. He comes into this fourth up for this preparation and has drawn a favourable barrier. He is stepping up in distance and the rail placement of being out 12 metres should help his racing style. This is a small but competitive field and I expect he can make his presence felt. Race 5 is the BM70 Ladbrokes Info Hub Handicap over 2420 metres, my ride here is HIGH SIERRA (NZ) who is trained by Luke Oliver. This five year old mare by Redwood is raced by Grand Syndicates. I’ve ridden her twice last preparation where we finished third at Ballarat and fourth at Geelong on rain affected tracks. She is adaptable and races well on all surfaces and will be at peak fitness having had four runs this campaign. 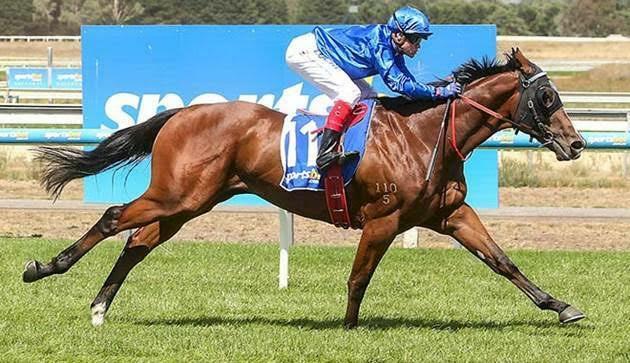 She is stepping up to this distance for the first time and based on her last start effort over 2200 metres, it is a distance that should suit her. She meets CHARLTON again here and comes in better at the weights than him. With the benefit of carrying the minimum of 54 kilos here and if she can find her best form, she will be competitive again. Race 7 is the BM70 Ladbrokes Cash Out Handicap over 1440 metres, my ride here is FREE FLY TOO who is trained by the Hayes, Hayes and Dabernig team. This four year old gelding by Teofilo is raced by Eric Wong. I won his maiden on him in 2017 and also rode him last preparation where we finished fourth in a strong three year old handicap race over 1600 metres at Moonee Valley. I have ridden him in a jumpout in preparation for his first up run this campaign and was pleased with the feel he gave me. This is a highly competitive benchmark race and with luck from a tricky barrier draw, I am sure he will make his presence felt. Race 8 is the BM70 Ladbrokes Odds Boost Exotics Hcp over 2000 metres for fillies and mares, my ride here is QUEEN LEONORA (NZ) who is trained by Danny O'Brien. This four year old mare by Savabeel is raced by Waikato Stud and partners. I’ve ridden her in her past two starts with both being at Moonee Valley. Two starts ago she raced in fillies and mares BM84 grade over 1600 metres, finishing fourth and was just over a length from the winner. She then dropped back to BM70 grade, again in fillies and mares company and stepped up in distance to the 2000 metres for the first time, where she finished second. She should gain a favourable run from an inside barrier and will take a lot of beating in this. 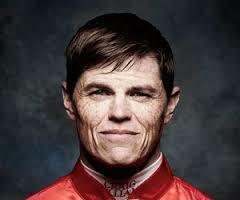 Today I’m racing at Caulfield. The rail is in the true position and the track is rated in the good range. There is rain predicted throughout the afternoon so it will be interesting to see if it arrives and how it alters the track conditions. There has been a lot of debate recently about the way tracks are prepared to race in Victoria in regards to having them with a bit more give in the Summer months and I’m looking forward to walking the track today and seeing how it may play. Race 2 is the BM64 Dale Foenander Handicap over 1400 metres, my ride here is LEILA’S STAR who is trained by Peter Chow. She’s a four year old mare by Bel Esprit that is named after a family member in recognition of The Leila Rose Foundation. I’ve ridden her once earlier in her career at Moonee Valley where she didn’t handle the circuit. Having watched her recent replays, she has really matured and developed as a racehorse and is in career best form this preparation. From her four runs this campaign she hasn’t finished further back than third placing and comes into this off very solid runs. She finds herself well placed in this BM64 race and has the benefit of a weight allowance for being a mare. She has drawn a low barrier and will gain an economical run in transit from the draw. Tactically she is able to race close to the speed, being able to take advantage of the gate and will make her presence felt. Race 3 is the BM70 Donya Van Pampus Handicap over 1200 metres, my ride here is MAGNESIUM ROSE who is trained by Matthew Lindsay. She’s a four year old mare by Magnus that I’ve ridden to success in a previous preparation at the track. She has good statistics at the distance as from her six career starts over the 1200 she has only been out of the top three placings twice. She races here second up following on from an excellent first up run at Moonee Valley. She drops back in grade here and will be five weeks between runs. She will start from an inside barrier and is the horse they all have to beat. Race 4 is the BM78 Richard Cotter Handicap over 1600 metres for fillies and mares, my ride here is VITANI who is trained by Wendy Kelly. She’s a four year old mare by Animal Kingdom that I know well, having ridden her regularly throughout her career and I won her maiden on her at Sandown. She is a filly that I’ve always thought her performances could warrant to be of stakes class ability. She is building a progressive record and from her nine starts has only been out of the top three on two occasions. Last time out at Moonee Valley we had no luck in running over the same distance, finishing in fourth place. I feel she appreciated the soft track conditions last time out and her chances will further be enhanced here if the rain arrives. I like that she is carrying the minimum weight of 54 kilos but she has unfortunately drawn an outside barrier. Assuming she will be ridden quietly from the draw, the light weight will give her every opportunity to show her good acceleration and if the track is racing evenly and the race is run to suit her, she will be finishing off strongly over the concluding stages. Race 5 is the BM84 In Memory of Aila Hinton-Tooley Hcp over 1100 metres, my ride here is QUEEN ANNABEL who is trained by Rebecca Kelly. I’ve ridden this five year old mare by Bel Esprit twice last campaign for a win and a third placing. We had the advantage of having favourable runs and I had to work with her to help her to relax and travel kindly for me in those races. This will be my first ride on her this preparation and she races here fifth up. Having watched her replays, she looks like she has matured and is able to close her races off more effectively and she has been racing in consistent form against quality opposition. She has drawn a wide barrier in a race where there looks to be a lot of pressure, if I can get it right with her and and things go her way, she will be winning this. Race 6 is the BM84 Nicholas Rehfisch Handicap over 1600 metres, my ride here is AMADEUS who is trained by Michael Kent. This six year old entire by Amadeus Wolf (GB) runs in the colours of Joan Walker. I’ve ridden him at his last two starts, winning on him at Pakenham before running second at this track over 1400 metres. He drops down in grade here and goes up in weight. He has drawn the inside barrier and will gain an economical run from the draw. He is a horse that will appreciate any give in the track, should the forecast rain arrive. He is racing in great form and will take a lot of beating in this. Race 7 is the BM78 Peter Missen Handicap over 2000 metres, my ride here is CREEDENCE who is trained by the Hayes, Hayes and Dabernig team. I rode this four year old gelding by Helmet for the first time last start at Flemington where we were disappointed for a run at the top of the straight, he made good ground finishing in fourth placing, two lengths behind the winner. His form this preparation has been excellent and this will be his sixth run for the campaign. He has drawn to gain an economical run from the barrier and without knowing my instructions yet, I hope we can utilise the favourable draw. He stays at the same distance as last start and meets three of the same horses that contested that race better at the weights. With his good form and the advantage of a favourable barrier, I feel he will take a lot of beating in this. Race 9 is the BM84 Alicia White Handicap over 1100 metres, my ride here is DEMOLITION who is trained by James Cummings. This five year old gelding by Street Cry is raced by Godolphin. He comes into this third up, his two runs this preparation have seen him finish second on both occasions, at Moonee Valley over 1200 metres and then Flemington over 1000. He is racing extremely well this campaign and he looks well placed here and is the horse to beat. Today I’m racing at Geelong. The rail is out 6 metres and the track is rated in the good range. Race 1 is the Bet365 SV 2YO Fillies Maiden Plate over 1125 metres, my ride here is LA TENE who is trained by James Cummings. This daughter of Helmet is out of the Group 3 winning mare in Celts, is having her first lifetime start and is raced by Godolphin. This is a small field of fillies having their debut runs with only two of her rivals having been to the races before. She has had a jumpout at Werribee and I’ve ridden her in a jumpout at Flemington in preparation for this. She showed nice speed and was very professional when I rode her. She has drawn a wide barrier here and it will be interesting to see how she handles the raceday conditions and pressure, but if she displays the same professionalism as when I rode her in her jumpout, it will hold her in good stead for this. Race 7 is the Batman Management Group Bellarine Cup BM64 Handicap over 1733 metres, my ride here is ROCK DOVE who is trained by James Cummings. She’s a three year old filly by Epaulette that is also raced by Godolphin. She is a lightly raced filly taking on the older horses here today with the favourite, who beat us home last start at Moonee Valley, the only other three year old filly in the race. I felt my horse didn’t appreciate the soft ground at Moonee Valley last start as she travelled well but failed to quicken. That was my first ride on her and she was stepping up to BM64 grade after winning her maiden the start prior. If she brings her form from last start and appreciates being back on top of the ground today, she might be able to turn the tables on the favourite. Today I’m racing at Sandown on the Hillside circuit. The rail is out 12 metres and the track is rated in the good range. Race 3 is the BM64 Ladbrokes Handicap over 1500 metres for fillies and mares, my ride here is CRYPTIC JEWEL (NZ) who is trained by Brent Stanley. She’s a lightly raced four year old mare by Savabeel and from her five lifetime starts has a record of one win and one placing. I’ve ridden her in both of her runs this preparation, she put in a good effort first up over 1200 metres at Moonee Valley, before going on to win her maiden in dominant fashion at her next start at Caulfield over 1440 metres. I feel the long straight on the Hillside circuit will be to her advantage and with confidence from her last start victory she is the horse to beat. 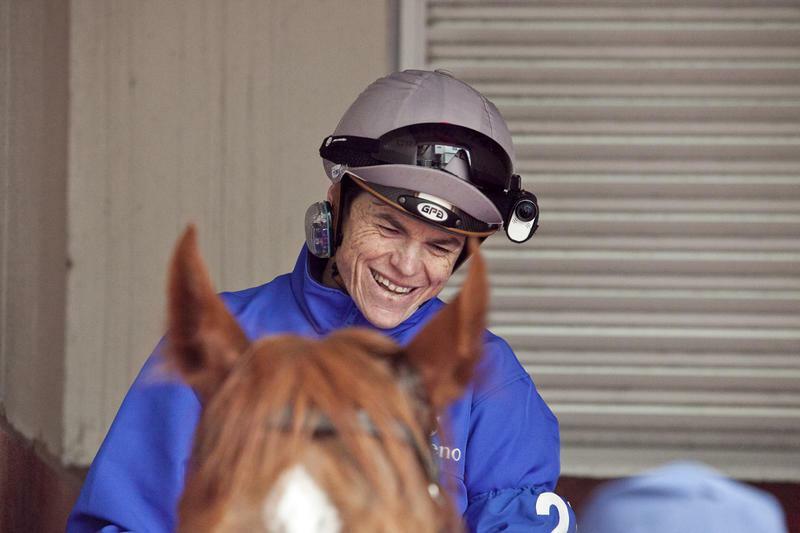 Race 4 is the BM64 Mypunter.com Handicap over 2400 metres, my ride here is SO BELAFONTE who is trained by Dan O'Sullivan. This five year old gelding by Medaglia d’Oro (USA) started his career off in South Australia before being transferred to Dan O’Sullivan. He won two starts ago over 2150 metres and at his first attempt over this distance was keen in running when leading the field and was beaten by just under four lengths last time out. With the benefit of a run over the distance I hope he can settle a bit more here today as he has drawn a wide barrier and there looks to be a lot of pressure on paper. If I can get him to settle and conserve his energy he will be competitive in this. Race 5 is the BM64 Clanbrooke Racing Handicap over 1800 metres, my ride here is SHAQ (NZ) who is trained by Brent Stanley. This five year old gelding by Savabeel races in the colours of Cloud 9 Thoroughbreds. I rode him at his most recent start over the same distance at Caulfield where he finished second. He races well over this distance range as from his five starts he hasn’t missed a top three placing and has won at the track. I was instructed that he is a horse that needs his run timed to perfection, so that he doesn’t get to the front too early as he waits for other horses. We were momentarily held up last time out when he finished second to the promising Tavistock Dancer (NZ) and I was pleased with the feel he gave me to the line. He has drawn a middle barrier and if we can gain a nice run in behind the speed and he has a horse to follow for as long as possible, he will take a lot of beating in this. I feel I understand his racing pattern a lot better for having ridden him last time out and that will help me to get the best out of him today. Race 7 is the BM64 Araza Handicap over 1300 metres for three year olds, my ride here is JARMANAGIC who is trained by Danny O'Brien. He is a lightly raced gelding by Starspangledbanner who has had eight starts for a win and third placing. I have had one ride on him at the start of his last preparation where he resumed on soft ground, he started favourite on that day finishing in fourth place and was beaten by just over two lengths. His only win has been over this distance on the synthetic surface at Geelong. He races first up here and has trialled nicely at Cranbourne in preparation for this and his recent jumpout at Werribee, where he finished behind subsequent Flemington winner in Poised To Strike, looks good form for this. This is a very competitive race and if the track is racing evenly and he has some luck from the draw he will make his presence felt. Race 8 is the BM64 The Big Screen Company Handicap over 1300 metres, my ride here is TIN HAT who is trained by James Cummings. This three year old gelding by Helmet is raced by Godolphin. He is lightly raced and from his five career starts has only been out of the top three placings twice. He races first up here and has jumped out very well in preparation for this and was sharp in a Flemington jumpout last Friday. He should get every favour from his barrier and will take a lot of beating in this race. Wishing all of my supporters a Happy New Year and a safe and successful 2019. Today I’m racing at Flemington where it’s the traditional meeting on New Year’s Day. The rail is out three metres and the track is rated in the good range. Race 1 is the New Year Plate over 1000 metres for two year old fillies, my ride here is the first starter ITALIAN WITNESS who is trained by the Hayes, Hayes and Dabernig team. She is by Star Witness out of the mare Italian Alps and is raced by Ultra Racing. I’ve ridden her in two jumpouts and she has pleased me on both occasions. The stable has a good opinion of her and if she brings her jumpout form to the races she will be the horse to beat. She feels like she has a lot of scope and is a strong filly with plenty of upside and reminds me of Catchy. Race 2 is the Summer Racing Handicap over 1400 metres, my ride here is BEACON who is trained by James Cummings. He is a four year old gelding by Lonhro that is raced by Godolphin. His last start effort was better than it reads on paper as we lost our position and got shuffled back through the field and should have finished closer. He now steps up to 1400 metres which is a distance that he should be suited by and in this small but competitive field he will be one of the main chances. Race 5 is the BM70 George Watson Handicap over 2000 metres, my ride here is RIPPLEBROOK who is trained by Sharyn Trolove. This four year old gelding by Hinchinbrook races in the Gray family colours. Mr Gray helped me when I was in the initial stages of my apprenticeship in giving me opportunities when he was training horses, so I’m looking forward to the opportunity to repay the favours that he showed me all those years ago. RIPPLEBROOK comes into this a last start winner at the same distance and is stepping up in grade here. He looks to be a solid and strong galloper who can hopefully make it two from two over the 2000 metres. Race 6 is the Group 3 Standish Handicap over 1200 metres, my ride here is CALL ME HANDSOME (IRE) who is trained by Peter Gelagotis. This six year old gelding by Kodiac (GB) runs in the colours of trainer David Hall, who is now training in Hong Kong. I rode him to win his last start over 1700 metres at Caulfield in Listed grade before he went for a spell and have ridden him in a recent jumpout in preparation for his first up run today. He is going extremely well and is a very consistent horse that has had 15 starts and only missed the top three placings on one occasion. This will be his first test in Group 3 company and I am confident he will take this in his stride and go onto better races. He doesn’t know how to run a bad race and will be one of the main chances in this. Race 7 is the Listed Bagot Handicap over 2800 metres, my ride here is ETYMOLOGY who is trained by James Cummings. This six year old gelding by New Approach (IRE) is raced by Godolphin. He is a horse that loves racing at Flemington and has a great record at the course. He won last time out here with the same weight over 2500 metres and it looks like the step up in distance will also be in his favour as he placed second at his only attempt over the distance in the St Ledger. He has drawn a middle barrier and based on his last start effort and statistics at the track, he is the horse they all have to beat. Race 8 is the BM70 Head Wind Handicap over 1600 metres, my ride here is PURE SCOT who is trained by the Hayes, Hayes and Dabernig team. This four year old mare by Purrealist finished second last time out at Bendigo in BM78 grade and drops back to BM70 here. She has been racing very consistently this preparation and won first up at the start of this campaign. She has drawn a wide barrier and with some luck from the draw, will be one of the main chances.